Mr. Goodyear joined our board of directors in 2019. Mr. Goodyear is the retired chairman and chief executive officer of Navigant Consulting, a NYSE-listed specialty consulting company that provides industry-specific professional consulting services to Fortune 500 companies and government agencies. Mr. Goodyear served in these roles at Navigant from 2000 to 2014. 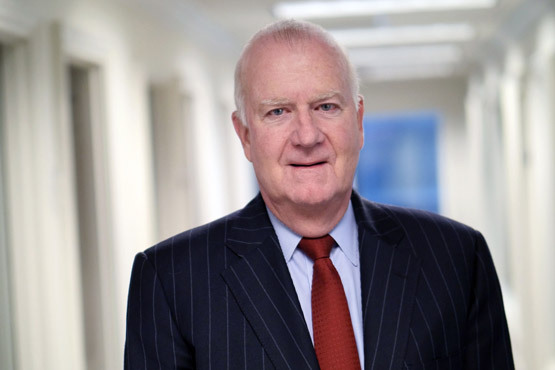 For three decades prior, he served as chairman of Bank of America Illinois, as president of Bank of America’s Global Private Bank, and in domestic and international executive positions with Continental Bank Corporation. He joined Continental in 1972, eventually merging with Bank of America in 1994, and departed the business in 1999. A 1970 graduate of Notre Dame, he subsequently earned a master's degree in business administration from the Tuck School of Business Administration at Dartmouth College. Mr. Goodyear received an honorary Doctor of Laws degree from his alma mater Notre Dame in May 2018. Since October 2015, Mr. Goodyear has been the lead independent director of Exterran Corporation, an oil and gas compression company in Houston, where he chairs the Audit Committee and is a member of the Compensation Committee. Since October 2014, he has also been a director of Enova, Inc., a financial technology company where he chairs the Audit Committee. Mr. Goodyear is chairman of the board of Rush University Medical Center where he chairs the Executive Committee. He is the past chairman and current trustee of the Museum of Science and Industry where he is a member of the Executive Committee. He is a member of the Commercial Club of Chicago and the Executives’ Club of Chicago. He served on the Advisory Council for the Mendoza College of Business before his election to this Board and has been a Fellow of the University since 2005.